In the state of Andhra Pradesh, South Korea has come forward to invest INR 4,000 Crore. About 37 companies have shown their interest to invest in the state and generate 7,000 jobs. This proposal officially presumed to take a shape by March 2018. According to the CMO South Korea Consul-General, Kim Hyung, met the Chief Minister Naidu and discussed upon various facets, and are looking to strengthen the financial and cultural ties with the state. It has also been reported that the companies are looking forward to establishing their firms in the upcoming Korean city in the state. 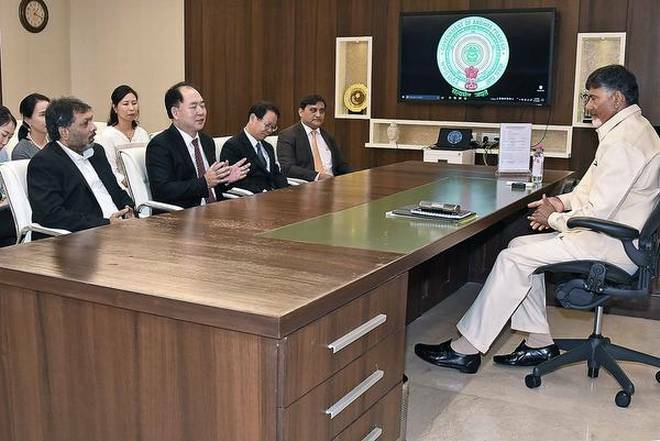 The Chief Minister Naidu assured the officials of South Korea that Andhra Pradesh is served with favorable conditions to do business and any potential problems that might arise over the due course of time will be immediately dealt with. In the few days ago it was reported that Andhra Pradesh is likely to grab a 'South Korean City' in the state's capital Amaravati or elsewhere in the state. The South Korean commission had proposed to bring in at least 30 companies in the sectors of logistics, electric steel, automobile components, liquors, marine equipment, medical, and many more to Andhra Pradesh.